Tired of running your team ragged attending trade shows and expos only to return empty-handed? Want better return-on-investment from your trade show and expo events? 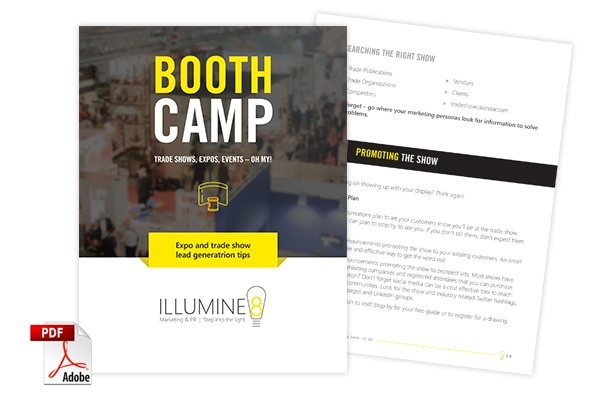 Our eBook, Booth Camp: Expo and Trade Show Lead Generation Tips, can help improve your lead generation and maximize your trade show ROI. With easy-to-implement tips, fresh ideas and practical advice, our eBook will provide you with the tools and knowledge to make your next trade show your most productive of the year.